WHOA! Daniel Murphy to the Cubs. Does anybody remember the 2015 NLCS? I sure as hell do….by the end of it, I was almost as disgusted with Murphy as I still am to this day by the thought of Steve Garvey (google it). Murphy was a one-man wrecking crew. Hopefully he inspire the offense to wake up…the pitching isn’t going to be enough for a deep run in the playoffs, IMOP. Too bad…….but he still gets paid! The Bears came back to win a preseason game over the Broncos 24-23! These aren’t your grandfather’s Bears. This exceptional comeback should catapult them into bigger and better things going forward this season! Next Saturday, the Chefs come to town in the most important game of the preseason. David Bote walk off grand slam…keep him on the team! 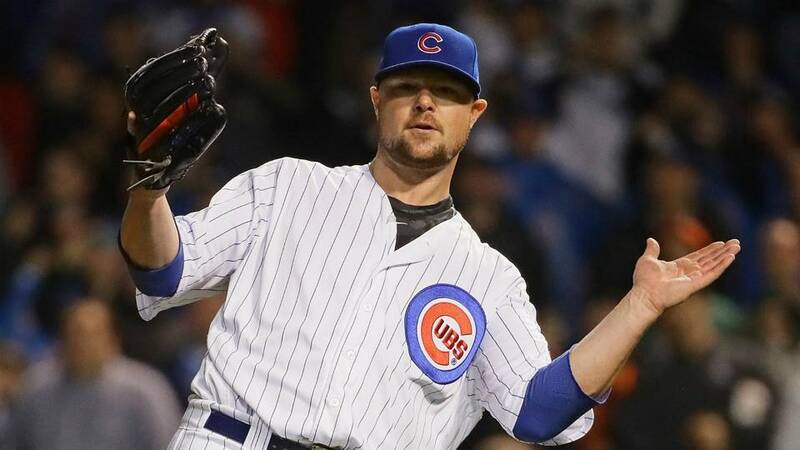 NO WAY the Cubs win anything this year if the mediocre starting pitching isn’t fixed…SOON. 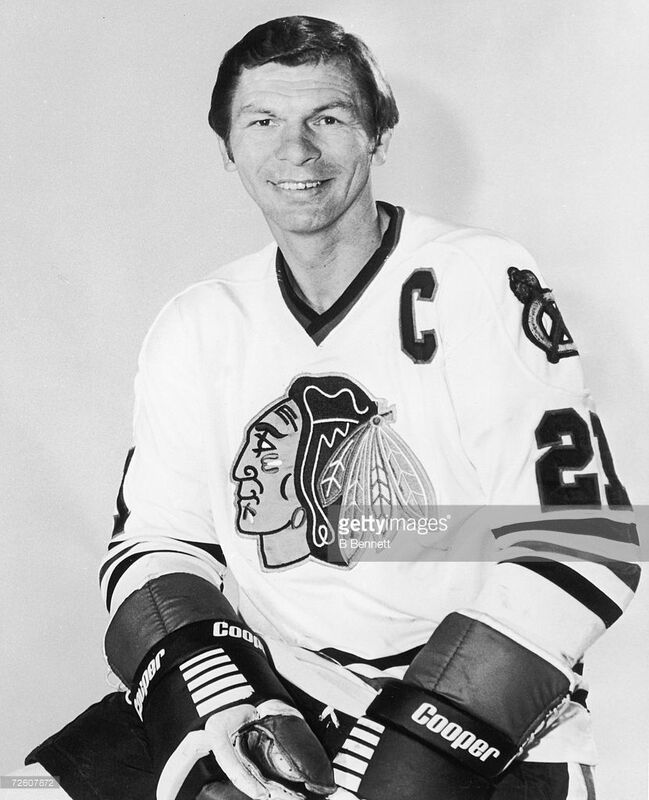 You fans older than me have many memories of the man known as “Stosh.” I wasn’t alive to see him play, but hear he was the greatest Blackhawk ever. I have had his jersey shirt for many years, though. I still wear it proudly. Cubs are barely holding onto 1st place, and only 6 games separate the Cubs, Brewers, Cards and Pirates. Cubs pitching has been suspect, and they almost blew it today against the Padres. Okay, just kidding. Sort of. Again. Awful. Just awful. These new rules are making the game even more dangerous. I think Roger Goodell is a damn loon. Football is no longer football. And no, this isn’t me acting like some “Neanderthal.” I am all for making the game safer, but it’s not. It’s worse. Chase Daniel throws an interception that’s not his fault. But then, he throws one that is. Matt Nagy wasted his timeouts right before halftime instead of trying to practice real, in-game situations. So he totally fits the mold of head coach of the Bears. It’s fine, though. He’s in mid-season form. The Bears made a nice comeback there at the end. But in typical Chicago Bear fashion, they fell just short. Let’s get em’ next time! Your thoughts in this useless thread. That’s when this website was started. It wasn’t planned. It just happened because the original site that we all met each other at was nearing it’s end and we all needed a place to go. A place where we can just be ourselves. A place where nobody from the outside could find us and our asinine thoughts. We may have had nothing else in common with our lives other than one thing: We were pissed off at the Cubs and other teams in Chicago that sucked. The next day after starting this site, I stood in my best friend’s wedding. He now has three kids to show for it. The very next year, our other best friend (out of the “triad” of us), decided to ruin his life by getting married as well. He has two kids. At that time, I was living in a tiny, one-bedroom apartment and fresh out of college. I went through a few really rough patches throughout that time in life. I am now very blessed to have a great house and my dream job. In the cheesy and odd way, I grew up while this website was along for the ride. I know I say this every year, but I always repeat it: I can’t believe it’s been this long. This time, I still mean that, but it’s much more significant. While things aren’t the same in terms of traffic like they use to be, I know there are still a few of you who like coming here. So many have come and gone with this place. Other Chicago sports’ websites started up and became deserted. But before those ones left, I ended up meeting people from other websites such as Hockeenight and Fire Ron Turner. Genrebuster and myself met up in 2016 in the city as well. It’s amazing how one common interest can bring a bunch of pissed off strangers together. In layman’s terms, it’s a miracle this place is still around. And each and every one you reading this is the reason for that. I’d really like to give every one of you a special shout out, but I know I will forget names. I do have to thank Genrebuster, however, for helping out with the website. A man I’ve met personally, he’s as genuine as they get. I don’t enjoy speaking for others, but he does seem like the calmest out of all of us here when we are pissed off about something. That shows a lot of strength. I am genuine in my words. I mean every single word I say in this post and every other post. All of you here are pretty awesome humans. At 32, I spent about a third of my life talking to all of you on a weekly/monthly basis. I do wish that one day, all of us get to come together for an awesome day at a pub somewhere in Chicago. I know we have discussed this numerous times, but ten years is way too damn long to just keep chatting on the internet. Let’s get something planned out while some of us are still together on this site. For those who come here just to read the site, I really do appreciate it. I mean, I don’t know why you would come here when there are a billion other sites to read. For those who post, I thank each and every one of you very much. I express all the gratitude I can possibly give. It’s all peace and love FIRE AND PASSION, MY FRENDTS. You are currently browsing the Fire Matt Nagy - - - Fire Ryan Pace blog archives for August, 2018.